The Skypoint Observation Deck above the Q1 Resort Building offers a view of the city unparalleled. 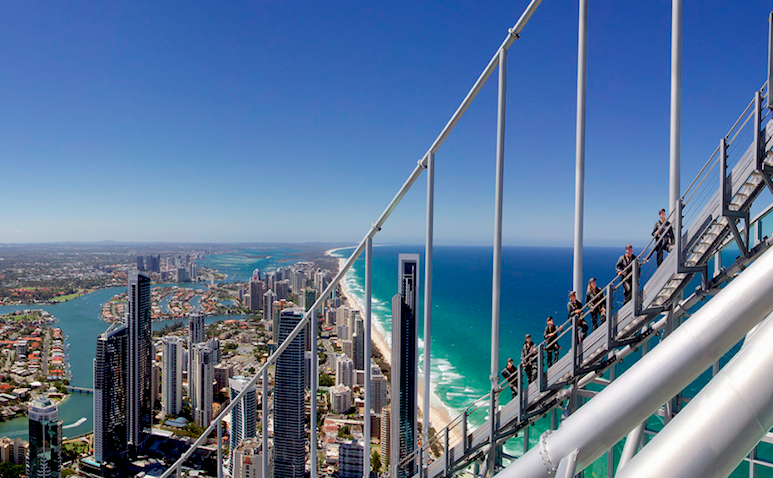 The main attraction being the Skypoint Climb, features a 90 minute expedition to the 270 metre high, awe-inspiring 360 degree top look out. Climbs & packages available at different times through out the day but the gold is found within the Twilight Climb & Dine Package.